The greatest concerns of most CEOs are operational excellence, innovation, risk, the regulatory environment, and competing globally. Underpinning those areas is their primary concern—human capital. The “people thread” is what prepares an organization to compete and win. The greatest asset that organizations have is the power of their employees. Employee engagement—the emotional commitment of employees—is a tremendous competitive advantage that impacts the bottom line when strategically managed. The majority of organizations have an opportunity to further leverage employee engagement as a business driver. A recent Gallup poll found that more than 70 percent of American workers are either actively or passively disengaged from their work. HR, talent management professionals, and business leaders need to assess (or re-assess) how widespread and entrenched employee disengagement is in their organizations and partner together to improve it. Discusses the costs of employee disengagement in organizations. Links employee engagement to an organization’s bottom line and offers reasons why employee engagement should be a strategic business priority. Offers steps that HR and talent managers can take to improve employee engagement throughout their organizations. Provides examples of what organizations are doing to boost employee engagement. The following is a summary of a talent management white paper written by Kimberly Schaufenbuel, UNC Executive Development Program Director. In today’s work world, we face multiple stressors, demands, and pressures, not to mention constant connectivity through smart phones, social media, and tablet computers. Consulting firm AON Hewitt estimates that 35 percent of U.S. employers in 2013 offered employee stress-reduction programs, and that estimate is expected to grow (AON Hewitt, 2013). Business leaders are increasingly looking for ways to reduce employee stress, and many employers - like Google, Aetna, Target, and General Mills, to name a few - have found that introducing mindfulness into their workplace not only lowers employee stress, but improves focus, clarity of thinking, decision-making, emotional intelligence, and more. The following is a summary on a white paper Pat Cataldo wrote. Filmmaker, comedian and well-known neurotic Woody Allen once said, “Eighty percent of success is showing up.” Pat Cataldo, managing director at UNC Executive Development, notes that while this may have been true thirty years ago, today it no longer applies. “In our internationally competitive business environment, employers need dedicated employees fully committed to the success of their organizations,” says Cataldo. As the economy recovers, employees will begin to look for new opportunities that could result in the loss of your organization’s most valued talent. Therefore, if improving employee engagement has not been on your organization’s radar screen, it should be. Today’s workforce is decidedly multigenerational. It is comprised of five generations - Traditionalists, Baby Boomers, Generation X, Generation Y (or Millennials), and a smattering of Generation Z - whose life experiences have left indelible marks on their values and work preferences. This rapid and unprecedented demographic shift has many talent management and business leaders wondering how organizations will adapt to the “5G” workplace. The focus of many organizations’ recruitment and retention initiatives have included race and ethnicity, gender, veteran recruitment and development, people with disabilities, and more. There is an increasing demand in the workforce today to add multigenerational diversity to the mix. Business executives and talent development managers must include the effects multiple generations have in the workplace to their diversity and inclusion initiatives. Multigenerational workplaces create unique challenges and opportunities for employers who want to leverage each generation’s talents and strengths to benefit their organizations’ bottom lines. What Does Employee Engagement Sound Like? Earlier this year, Gallup released their 2103 report, State of the Global Workplace: Employee Engagement Insights for Business Leaders Worldwide. The report includes some troubling insights, prompting legitimate concerns about workplace productivity and employee retention - and encouraging many companies to look for solutions to improve employee engagement. So what is employee engagement? Employee engagement measures whether you feel invested and committed to your job, and whether you're motivated to contribute to the success of your organization. Gallup identified three categories of employee engagement: Engaged, Not Engaged, and Actively Disengaged. "Engaged" employees feel inspired by their work, with a sense of passion and commitment to their company. Then you have those who are "Not Engaged" - they have checked out, putting in the time but not the energy or enthusiasm. Finally, you have the "Actively Disengaged" - employees so unhappy that they are actively undermining the success of the organization. According to a recent Gallup study, only 30% of employees are Engaged, and the other 70% are Not Engaged (50%) or Actively Disengaged (20%). Note that employee engagement is not the same as employee satisfaction. Employee satisfaction focuses on whether you are content with your job and work environment. In contrast, employee engagement focuses on whether you feel committed to your work and your employer. Employee engagement is a measure of whether you feel inspired and passionate about your work; it is about feeling energized and enthusiastic about your contribution to the organization. They say music is what feelings sound like - so what does feeling engaged sound like? It's hard to say, but guaranteed it is a positive, feel good anthem. Engaged employees may be singing James Brown's "I Feel Good" or maybe The Pointer Sisters' "I'm So Excited". Younger workers may relate more to U2's "Beautiful Day" or maybe the Owl City/Carly Rae Jepsen collaboration, "It's Always a Good Time". You get the idea. Those who are Not Engaged may be feeling more like Dolly Parton's "(Working) 9 to 5" or maybe Loverboy's "Working for the Weekend." Meanwhile, you're Actively Disengaged may be plotting to the tune of "Take This Job and Shove It." It is important to recognize that every company is different and every employee is unique. What inspires and motivates one person may have no impact on the next. Extrinsic factors, like salary and bonus, can reward performance - but engagement is often driven by more intrinsic motivation. Employees will go above and beyond when they find the job to be personally rewarding. This suggests that companies hoping to improve employee engagement should avoid a one-size-fits-all solution, and adopt a more dynamic approach that will be relevant to different employees in different ways. For example, the Gallup report identifies a number of generational differences with regard to employee engagement. According to Gallups research, the generations at the beginning and the end of their careers tend to be more engaged than those in the middle of their careers. That means Baby Boomers on the verge of retirement are more inclined to be sing along to the Turtles' "Happy Together" or the Beatles' "Getting Better" instead of The Rolling Stones' "(I Can't Get No) Satisfaction". Generation X on the other hand, in the middle of their careers, may be making a mixed tape featuring the Talking Heads' classic "Life During Wartime" or perhaps REM's "Its the End of the World as We Know It (and I Feel Actively Disengaged)." Millenials, at the beginning of their careers, may have Taylor Swift's "Stay Stay Stay" blasting on their iPods, but the Gallup research says they are also the most likely of all generations to say they will leave their jobs in the next 12 months if the job market improves. 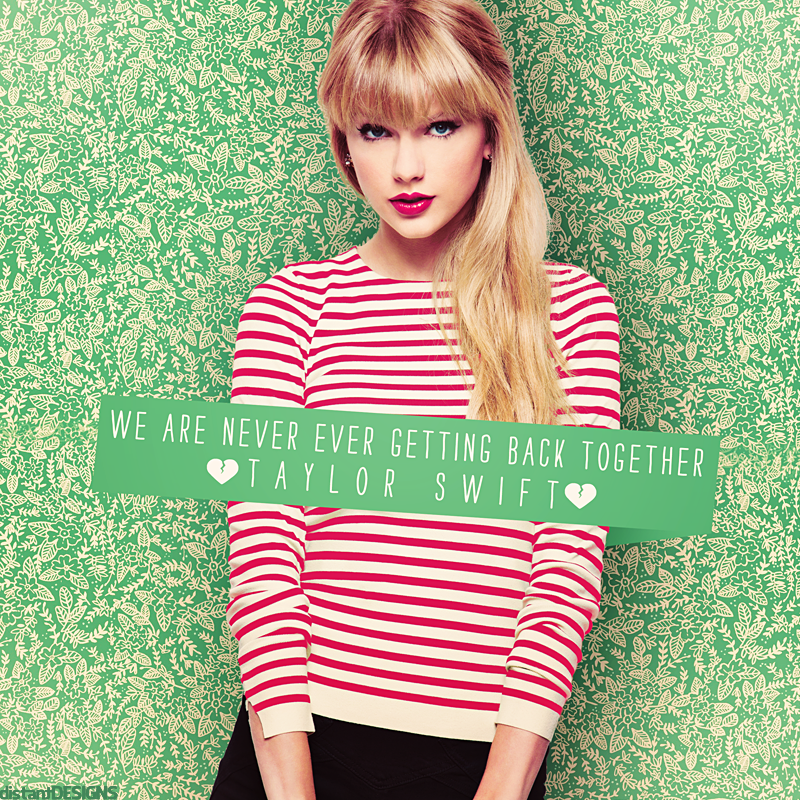 So, they may be changing their tune to "We are Never Ever Getting Back Together". Training and Development: Are Your Employees Engaged? I was just reading our latest talent development white paper written by my colleague Kimberly Schaufenbuel. The paper looks at employee engagement and the impact, positive or negative, on your organization's bottom line. It's a great read - with timely research, useful advice, and several examples of companies successfully boosting employee engagement - I highly recommend it.